The La Mesa Watershed is the major source of raw water for 12 million residents in Metro Manila and enrichment planting is continuously done to ensure preservation of the forest. This year, one of the major CSR projects of Stolt-Nielsen is the tree-planting activity in La Mesa Watershed in partnership with ALKFI-Bantay Kalikasan. The Company adopted one (1) hectare of the watershed by supplying seedlings, funding forestry caretaking activity for one year, and donating some equipment to foresters for the upkeep of the watershed. 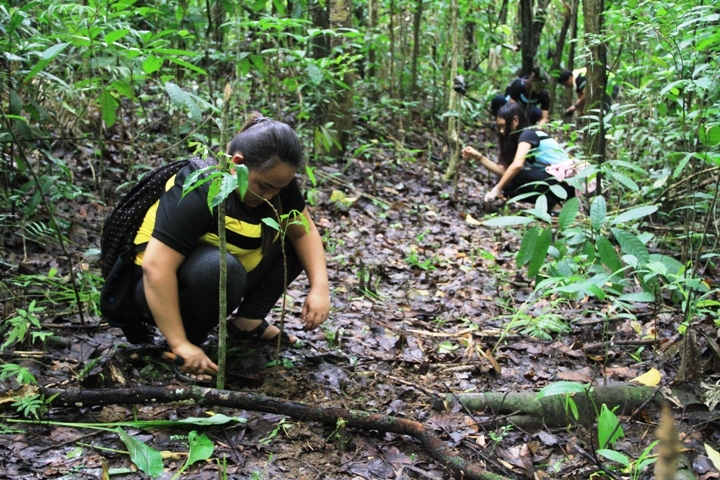 Stolt-Nielsen employees also volunteered to join a one-day activity to plant four hundred (400) seedlings of Amugis and Bignay-Kalabaw trees along the watershed’s forest. According to Lorben Chan, General Manager/Controller who joined the tree-planting activity, they had chosen this project to do their share in the preservation of the forest and the sustainability of the reservoir. “Stolt-Nielsen is committed to protecting people and the environment. We look at the preservation of our environment and ensuring enough clean water, which is what watershed protection seeks to achieve, as well-aligned with our corporate social responsibility goals. It is also our way to help preserve the water reservoir that our community heavily rely on and I hope we can continue doing this every year,” he said. Save the La Mesa Watershed Project Operations Head, Dave Azurin was grateful for Stolt-Nielsen’s participation in helping the environment, “We are thankful of their help because with the tree planting activity, they help preserve the reservoir. We do not want La Mesa Watershed be the last reservoir of raw water in Metro Manila to be decommissioned,” Azurin stated. Azurin was referring to other dams that have ran out of water since houses were built near them, hence, its shutdown. He also expressed his hope that people will continue supporting not just the La Mesa Watershed but also the rest of the watersheds in the Philippines such as the Ipo Dam in Norzagaray, Bulacan. In addition to planting 400 indigenous species of Amugis and Bignay-Kalabaw trees, the employees also learned about vermi-composting, the cheapest way of creating organic fertilizers using organic waste. “I think it was a great experience for me personally and for our employees. It is the first time we’ve done this, and we partnered with Bantay Kalikasan to ensure the sustainability of our efforts. Everything was well organized, and we were taken care of properly by the La Mesa staff,” Chan added. Equipment donated by Stolt-Nielsen included a bush cutter and pressure washer to be used in the watershed. Stolt-Nielsen Limited (SNL) is a leading global provider of integrated transportation, storage and distribution solutions for chemicals and other bulk-liquid products, delivered through its three largest operating units: Stolt Tankers, Stolthaven Terminals and Stolt Tank Containers. Stolt Sea Farm is a leading producer of premium turbot, sole, sturgeon and caviar. Stolt-Nielsen Gas is developing supply-chain opportunities in LNG market. Stolt-Nielsen B.V. is a duly licensed regional operating headquarters of the international Dutch company of the same name. Meanwhile, Stolt-Nielsen Philippines is one of the leading manning companies in the country, involved in the recruitment and placement of more than 3,000 Filipino officers and ratings onboard more than 200 chemical tanker vessels owned and/or operated by Stolt Tankers BV.